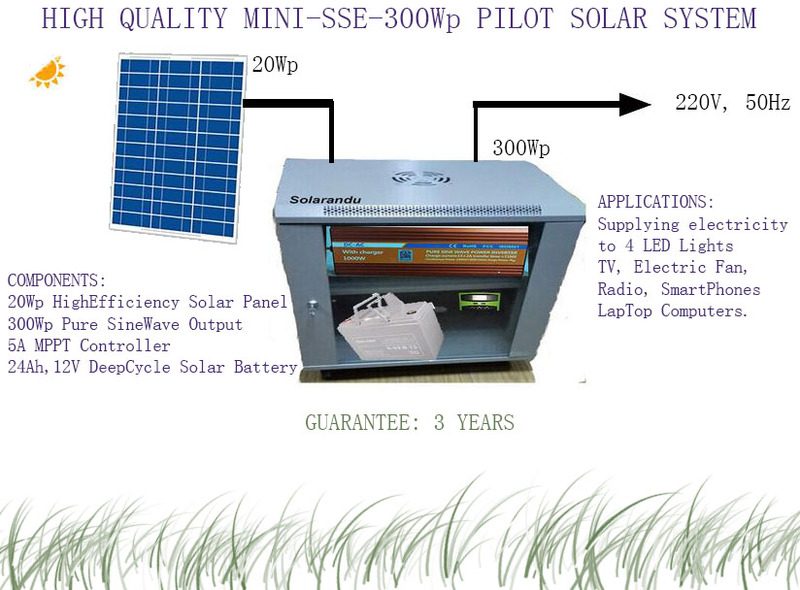 SSE-300Wp is a PILOT Solarandu SOLAR ENERGY SYSTEM, with the following main components: Solar Modules: 1 sets of 20W Solar Panel; Controller: A 15V DC output controller; Battery: 1 set, 12V, 24Ah; INVERTER: A 300W Solar Inverter with 12V DC input, 220V, 50Hz Pure Sine Wave AC output. Nominal Output Power: 300W. 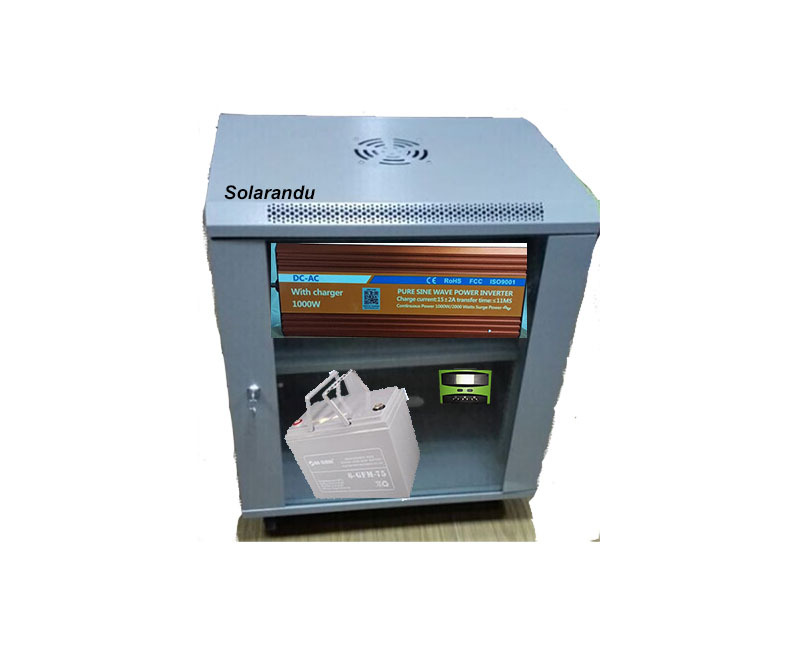 Surge Output Power: 600W.